Place of Welcome is a network of small community organisations, including faith communities, who offer an unconditional welcome to local people for at least a few hours a week. Places of Welcome developed out of the Birmingham Social Inclusion process ‘Giving Hope Changing Lives’, as a response to the question – Is Birmingham a welcoming city? 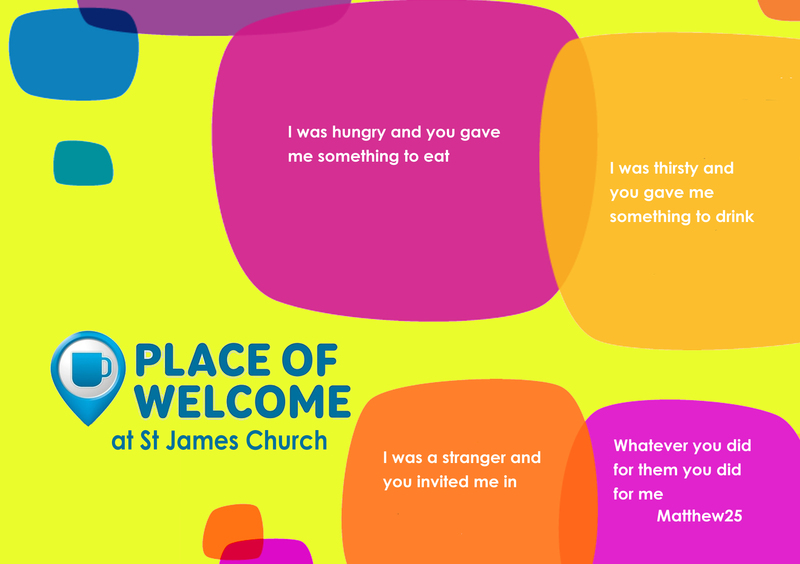 St James Church runs Place of Welcome on Tuesday 9-12 noon and offers drinks and a variety of snacks to all. During our Place of Welcome we also provide the opportunity to take part in our Play and Stay activity for Parents and their children, come along and take part in child focussed activities.